One of my favorite grilled chicken marinades, the Asian Sensation combines all the flavors of the Orient. Using marinades on chicken, especially boneless skinless cuts, let's you infuse such a wide variety of flavor to complement the rest of your meal. When you remove the chicken from this marinade you can place the meat directly on the grill - then bring any of the leftover marinade to a gentle boil on the stove or side burner and use as a basting sauce while the meat cooks. The slight nutty flavor of sesame oil combined with the tang of fresh ginger brings a nice Asian style flavor to the chicken. 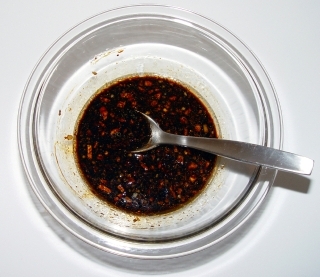 These types of marinades typically take 4 - 8 hours and should be done with the dish covered and in the refrigerator. Chicken absorbs the flavors really well but if left too long in a marinade it can become a little mushy. Combine first 5 liquid ingredients in a jar with tight fitting lid and shake to mix well. Add remaining dry ingredients to the liquid, replace the lid and shake well to mix. Refrigerate for 1 hour to let the flavors blend (optional). Remove from the refrigerator, shake well to mix and use. 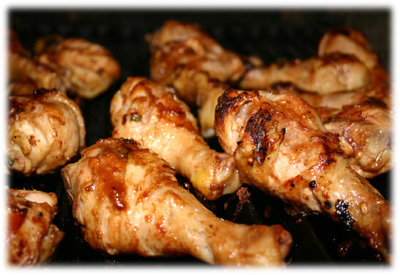 Tip: Here's a great recipe to try this marinade with, Asian Sensation Grilled Chicken recipe!